Navy Pier: Museum and entertainment district in Chicago, Illinois. Shedd Aquarium: Aquarium in Chicago, Illinois. Brookfield Zoo: Zoo in Brookfield, Illinois. Six Flags Great America: Theme park in Gurnee, Illinois. Willis Tower (Sears Tower): Skyscraper in Chicago, Illinois. Art Institute of Chicago: Art museum in Chicago, Illinois. Lincoln Park Zoo: Zoo in Chicago, Illinois. Museum of Science and Industry: Museum in Chicago, Illinois. Millennium Park: Park in Chicago, Illinois. Adler Planetarium: Museum dedicated to the study of astronomy and astrophysics, located in Chicago, Illinois. Chicago Park District: A section of Chicago, Illinois, with over 580 parks. Morton Arboretum: Arboretum in Lisle, Illinois. Chicago Botanic Garden: Botanical garden in Glencoe, Illinois. Cloud Gate: Sculpture in Chicago, Illinois. Water Tower Place: Skyscraper and shopping mall in Chicago, Illinois. Magnificent Mile: Shopping and dining district in Chicago, Illinois. Skydeck Chicago: Observation deck in Chicago, Illinois, located on the 103rd floor of Willis Tower. Starved Rock State Park: State park in Oglesby, Illinois. 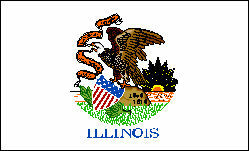 The name "Illinois" comes from a Native American word meaning "tribe of superior men." The world's first skyscraper, the ten-story Home Insurance Building, was built in Chicago in 1885. The IATA airport code "ORD" for Chicago's O'Hare Airport comes from its original name, Orchard Field. O'Hare Airport was named in honor of Lieutenant Commander Edward H. "Butch" O'Hare. The first all-color TV station, WMAQ-TV, debuted in Chicago on April 15, 1956. 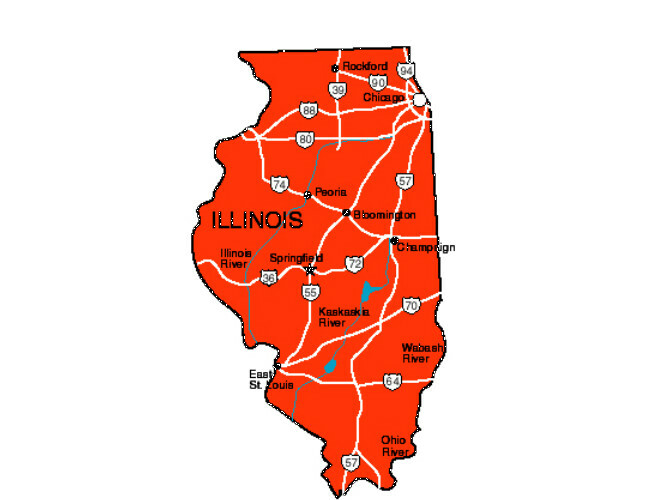 Illinois is home to the�world�s largest bottle of catsup, a 170-feet tall water tower located south of downtown Collinsville, Illinois. Carol Moseley Braun became the first female African-American Senator when she was elected to the U.S. Senate in Illinois in 1992. Illinois is the largest producer of pumpkins in the United States, and Morton is the self-proclaimed "Pumpkin Capitol of the World." 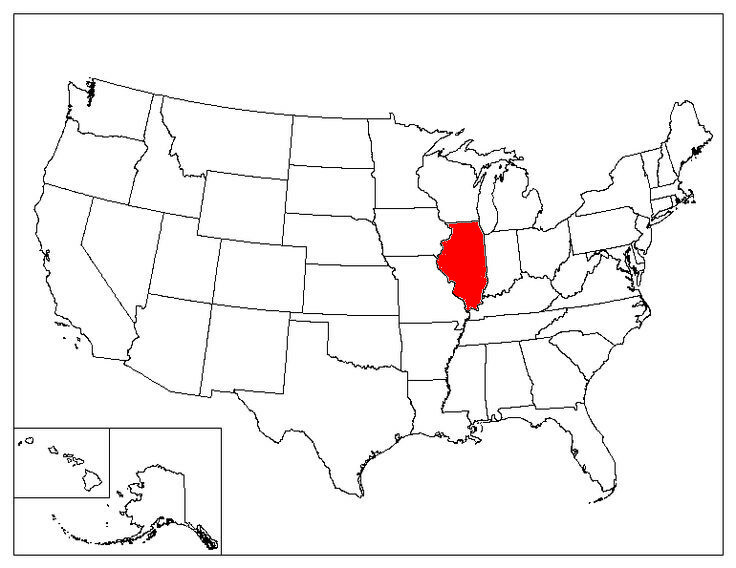 In Illinois, the legal drinking age is 21. Those under 21 can drink legally provided that they are participating in a culinary arts, food service, or restaurant management degree program of which a portion of the program includes instruction on responsible alcoholic beverage serving methods. The official State Snack Food in Illinois is popcorn. A group of elementary school students, with help from their teacher, Fran Hollister, at Cunningham Elementary School in Joliet petitioned Illinois legistrators to make popcorn the official snack food of Illinois, and State Senator Larry Walsh sponsored the bill. The bill was passed in 2003.